The given blog helps us to understand the various facts about drapery and the ways to choose the best for your need. It also illustrates the various other advantages of getting drapes Toronto in the current times. 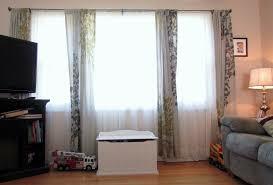 Window treatments are very important not only in residential places but also in official places. They not only decorate the rooms but also act as a good cover for a window that ensures privacy, light control, as well as balances the temperature of the house. In that case, you are searching for a way to add a special touch to your rooms then custom drapes Toronto is the right choice for your needs. Custom drapery also comes with various options in budget, quality, and styles and you can choose according to your taste and requisites. Of the many options that are offered by a window curtain expert, custom drapery is one of the best of its kind to get the fine look in your house. If you are taking your custom drapery seriously then you must hire a home consultation to assess the kind of look and design that will fit your indoor rooms. However, you should make the right choice about the elements to choose from while you are planning to get custom drapery for your home. At the same time, form and function also matter and that needs to be very seen carefully and chosen according to needs and advantages. Ensure to choose drapes Toronto that truly reflects your ideas and tastes. In case, if you are buying drapes for your bedroom then make a little bit of research because many companies offer extra options for fabric as well as for bedding, shams, and pillows for window drapes. On the other hand, you must be careful that about choosing the right fabric like silk or ivory in the case of thin fabrics and in this case interlining is essential. A good quality thick flannel interlining helps in preserving the color lighter fabrics. Also, the kind of lining is also a key factor when it comes to a complete quality drapery. Using thick sateen is best for jacquards and silk that demands heavy backing. On the other hand, when it comes to velvet, chenille or suede then blackout lining is the right option for your need. On a concluding note, make sure that you are buying your custom drapery from a reputed and quality drapery specialist store in your city. Check their reviews first before choosing a particular place for buying drapery for your home.